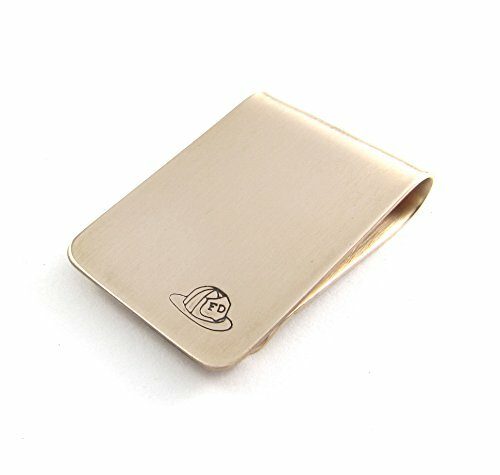 A treat for the firefighter in your life -a handmade sterling silver or bronze (shown) money clip stamped with a Firefighters Helmet. The money clip shown is the "wide" style and is 1-1/2 inches long and 1 inch wide. You can also order the "narrow" style" which is 2 inches long and 3/4 inches wide. Initials can be added (at no additional charge). See the last photo for an example and specify the initials when you order. Your money clip is made to order at the Hennessey Jewelry studio in Portland Maine. Please allow up to two weeks for your clip to be made. You may contact me for current shipping times.